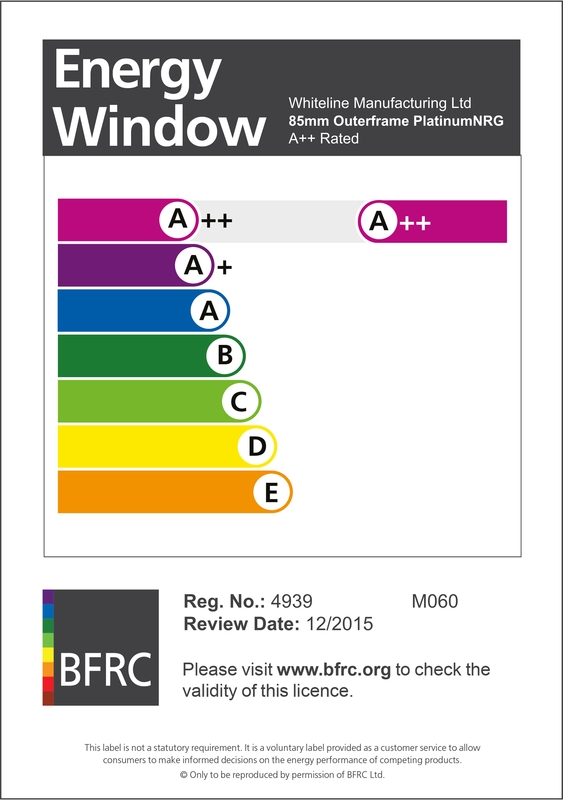 Innovative fabricator Whiteline unveils another industry first with the launch of A++ rated windows, as certificated by the new BFRC labelling scheme. The A++ rating has been introduced as of October 1 2015 to encourage greater energy efficiency in the UK built environment, making real improvements versus previously available products. Products with an energy rating of A+20 and above qualify for the A++ label and offer a great opportunity for installers to upsell based on enhanced performance. Whiteline now offer accredited windows rated from A+21 to A+33, using their unique combination of SlimSASH, with its 6 chamber, 70mm deep standard frame and its new 7 chamber, 85mm deep Revival frame option. All require Triple glazed 36mm units and gas fill options to complete the ensemble which is exclusively available to Whiteline customers.